Orange is an comprehensive and integrated human capital system with flexible design to accommodate an organization's needs as it grows globally. 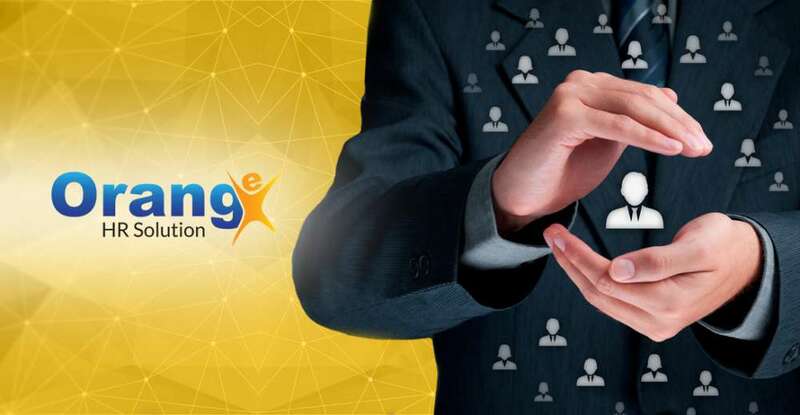 Its proven service track record cutting across diverse industries, empowers human capital management at strategic as well as administrative levels. Orange offers an optimal human capital management system to raise workforce performance, transforming into a competitive strength. It stands out with its width & depth of among the best human capital management strategic, self service and administrative, practices. Converging creative and innovative design. Orange affords human capital manager significant advantages in strategic functions such as talent management, KPI and competency employee, aligning and optimizing workforce development. Centralizing multi-companies and multi-locations employees data recording. Simplifying HR administrative tasks which results to the time and cost efficiency. Covering the employee's recruitment, competency, employee's development, training and performance assessment. High data security. Data are encripted. Only the designated users are able to see the employees salary details and the process of salary payment. Saving time in salary processing with numerous employees. Always up to date features supporting current tax systems and government regulations. 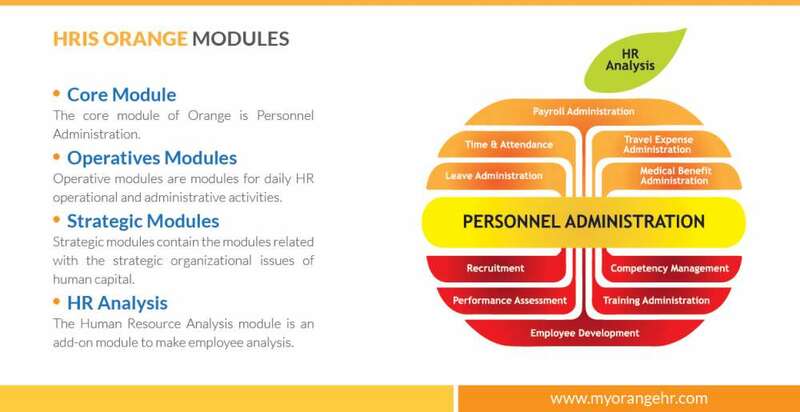 Core Module: The core module of Orange is Personnel Administration. Operatives Modules:Operative modules are modules for daily HR operational and administrative activities. Strategic Modules: Strategic modules contain the modules related with the strategic organizational issues of human capital. HR Analysis: The Human Resource Analysis Module is an add-on module to make employee analysis.